The first time Gary Baker, president of Nationwide Brokerage Solutions heard about the research on happiness and how it affects the workplace, he referred to it as “fluff.” And why wouldn’t he? Our culture has long viewed happiness in the workplace as a sign of lower productivity. Surely those infusing joy and laughter within the confines of their office are slacking off and costing the company time and most certainly money. By referring to happiness research as “fluff,” Gary was only holding true to a generations old societal norm where happiness should be withheld until after the job is done. But what if happiness is the key to getting the job done? Science has shown that when we are filled with positive emotions, our brains actually work much better and our results improve. This can and does translate into workplace productivity and overall company success. Our research has found that a positive brain is connected with increasing sales by 37%, productivity by 31%, and decreasing the negative effects of stress by 23%. Instinctively we may know that the negative social script of holding out on happiness until the work is done puts us at odds with our most human instincts—and that creates stress and an epidemic of disengagement. But because the desire to conform is incredibly strong, most of us give in and slowly disengage from our work too. Look at this through your own lens. When you are passionate, happy and engaged in what you are doing, how is your own productivity and success? How is it when you are unhappy, disengaged and experiencing complacency or even dread? Those two scenarios have two very different outcomes I’m guessing. It’s important for leaders to disassociate smiles and laughter with slacking off and, instead, pair it with passion, heightened creativity and desire to reach goals. Your team needs to feel like a team. Teams want the same thing. They work toward the same thing -- everyone doing their part for the bigger picture. Experience passion and happiness at work and with work is helpful to the bottom line. People want to get their jobs done, freeing you up to focus on leading. No iron fist ruling necessary. Against his initial instincts, Gary Baker introduced our training program that would help the organization confront and rewrite social scripts that were not serving success, and provide a narrative pathway for people to reach a more positive mindset, attain higher levels of optimism, and deepen social connections. Our training is called “The Orange Frog,” and it highlighted stories of various frogs in parable format. Through it, employees learned the best practices of resilient leaders, how to become more adaptive, and how to develop a capacity to “see” more opportunities, which all lead to better business outcomes. Thousands of employees at Nationwide were trained on how to put the latest happiness research into practice to achieve tangible business results, and it didn’t take long before Baker and his team saw the effects. What was the outcome of this experiment in “fluff?” For one, Nationwide’s revenues increased by 50% in just 18 months--to the tune of hundreds of millions of dollars. Additionally, the new insurance application rate increased by 237% during that same time. When he saw results that he couldn’t ignore, Baker changed his tune. He also changed the walls in his office, painting the entire call center bright orange. The once somber cubicles are now scattered with orange plush frogs, and hanging around the offices are large framed pictures of employees working at soup kitchens wearing bright orange shirts. Employees are very enthusiastic about “being orange.” They know broadcasting happiness--constantly communicating an empowered, resilient, optimistic mindset especially in the face of challenges--can fuel their success. Happiness leads to sales, not the other way around. Using the same tool we rolled out at Nationwide, you can test yourself right now on the three greatest predictors of long term success. 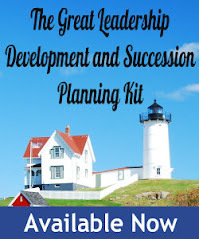 Take the Success Scale now for free, and receive your scores and an interpretive report! 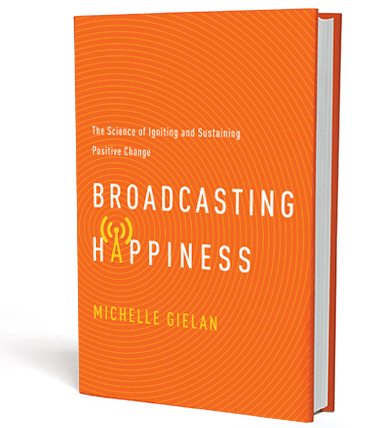 Michelle Gielan, national CBS News anchor turned positive psychology researcher, is the bestselling author of Broadcasting Happiness. She is the Founder of the Institute for Applied Positive Research and is partnered with Arianna Huffington to study how transformative stories fuel success. 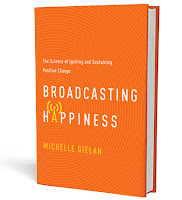 Michelle is an Executive Producer of “The Happiness Advantage” Special on PBS and a featured professor in Oprah’s Happiness course.